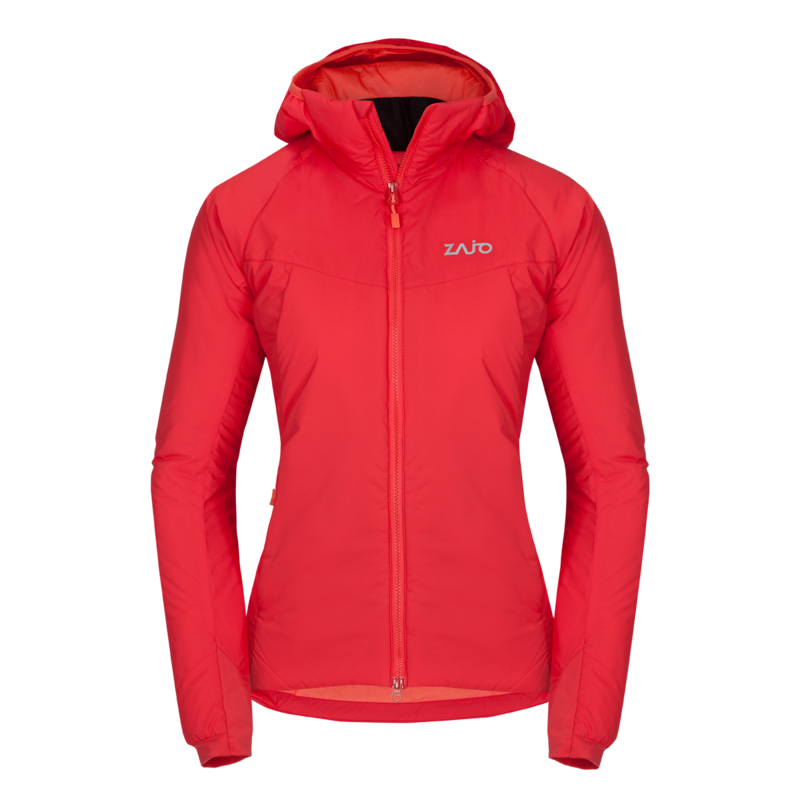 The Alta W Jkt is a synthetic hooded jacket for all-round winter activities from skiing to hiking. The athletic regular fit runs close to the body and slips under a hardshell, without creating too much bulk. The synthetic Primaloft® Insulation Eco Black keep you warm whether you wear jacket alone or under a hardshell when you're confronted with a winter tempest. Hydrophobic insulation and a durable water repellent finish on the outer shell helps provide water resistance. The helmet compatible hood has a soft elastic along the outside edge with an adjustment in the back so it will not only stay on in wind, but keep your peripheral vision clear. High collar and elasticated seal on back are able to close out the worst of the weather when the conditions turn nasty. Two zippered hand pockets with soft velour inside, hold your keys and phone, trail map and tissues, or all necessities for riding the lifts all day long. A fixed hood, internal hem adjustment and sleeve hems with elastic panels keep the elements out. An unexpected drizzle won't leave you a cold and soaking mess, but it's best to pair this jacket with a waterproof shell if you know the weather is coming.